Spiritwalker Ebonhorn: Jarod Shadowsong, with whom Huln was already familiar, awaited his arrival in the battlefield below. He had a special task for Highmountain while organizing and commanding his troops. Meet up with Jarod Shadowsong in the battlefield. 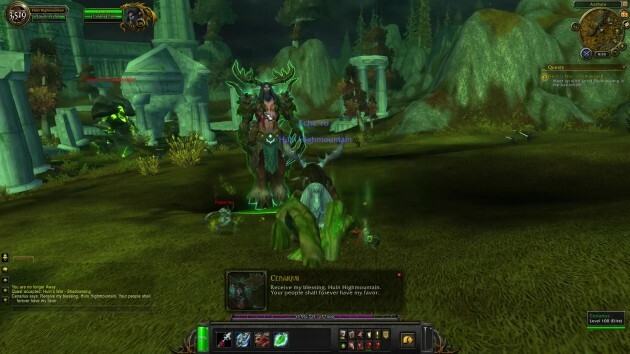 Cenarius: Receive my blessing, Huln Highmountain. Your people shall forever have my favor. Spiritwalker Ebonhorn: Even the Lord of the Forest, Cenarius, recognized Huln’s greatness. 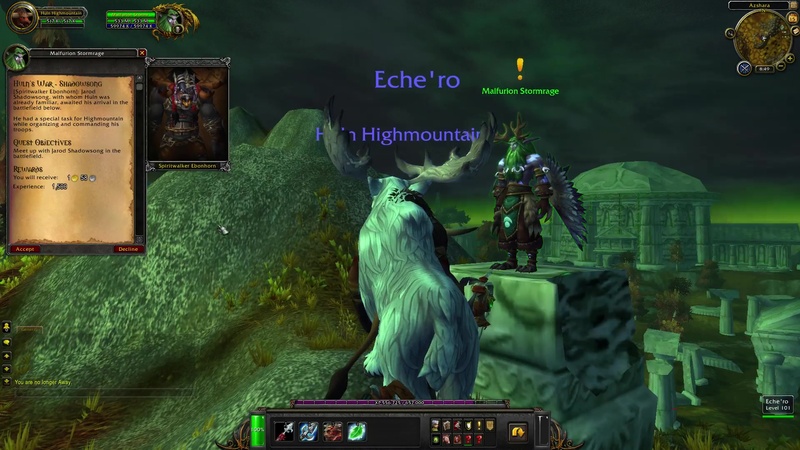 he bestowed him with a blessing that we carry with us to this day: the Horns of Eche’ro. 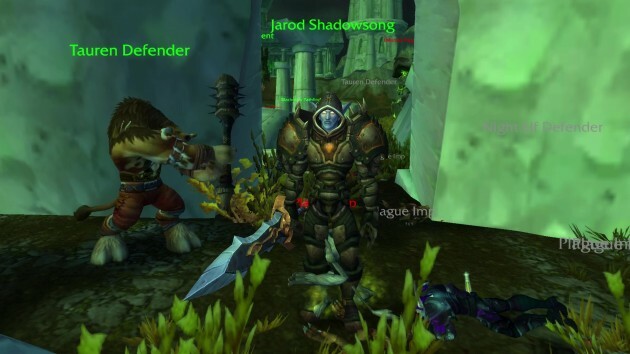 Jarod Shadowsong: Huln! It is good to see you on this field of battle. You look… taller? Spiritwalker Ebonhorn: Jarod was happy to see his ally.